It’s a big myth that moisturizers are only meant for treating dry skin. They are equally as important for people with an oily skin type as they help in improving the skin texture and at the same time mask all your imperfections. However, prior to using any moisturizer, it is significant to understand your skin type. For people with an oily skin, washing the face too much causes the skin to produce more sebum, making the skin appear dull and sticky. Using a water based moisturizer on your oily skin will not only help to reduce the skin pores but also enhance your texture and fight scars and blemishes. A water based moisturizer is referred to as “Non-comedogenic” which means that these moisturizers will not clog your pores. They have essential acne fighting properties that will protect your skin even after washing. Moreover, these moisturizers resist water in the uppermost layer of your skin, helping you achieve a flawless and brighter looking skin. If you assume that using a moisturizer on your oily skin will worsen the condition then you are badly mistaken. I am sure a lot of you will be skipping the moisturizer in the CTM routine, right? But believe me, that will only result dehydrate and damaged skin. Oily skin too requires proper care and nourishment. 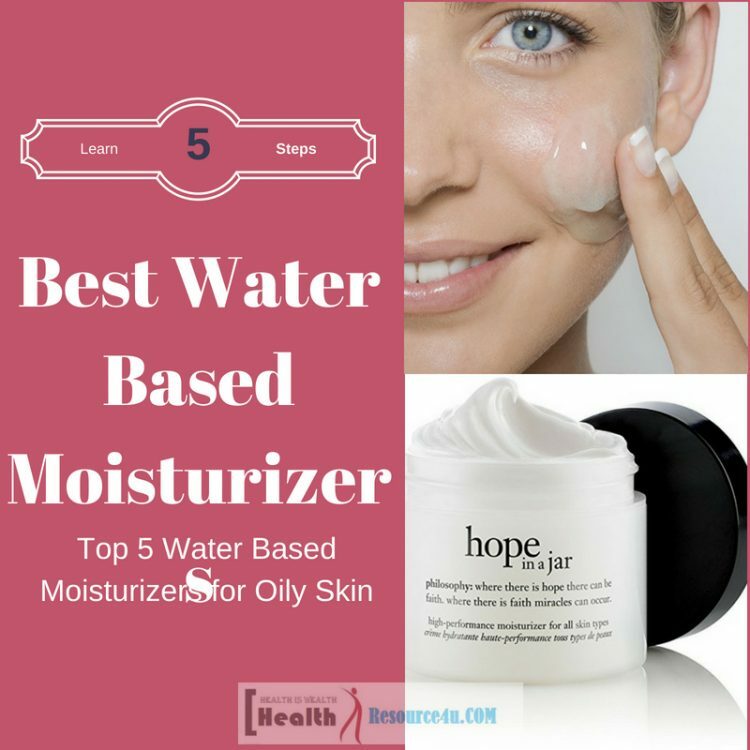 So have a look at some of the best water-based moisturizers for oily skin and select yours now! 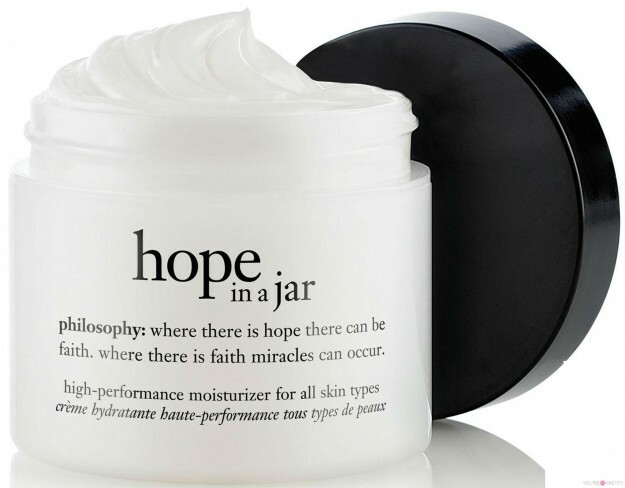 Philosophy Hope in a Jar, a high-performing moisturizer is an extremely lightweight solution providing deep skin hydration along with absolute antioxidant protection. It helps to improve the skin texture, making you look young and radiant. It contains lactic acid that aids to remove all the dead skin cells and beta-glucan that fosters the overall skin health by nourishing its natural rejuvenation potential. The moisturizer exfoliates your skin, giving you a smoother, healthier and brighter looking skin. Thoroughly clean your skin before applying the moisturizer. Avoid the eye area. For best results, apply twice a day- morning and evening. 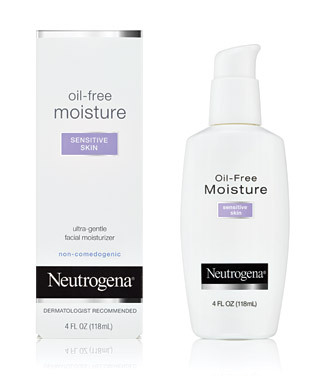 Neutrogena Oil Free Moisturizer is a lightweight moisturizing solution that dermatologically tested and is absolutely non-comedogenic. It provides excellent hydration and at the same time is oil free and non-greasy, making it an ideal product for oily skin. It contains SPF that protects the skin from the very harmful UVA & UVB rays. It vanishes into your skin and as a result it can be used as a makeup base as well. it is totally alcohol and paraben free so it can be used by people having an acne prone skin. It is ideal for sensitive skin. Cleanse your face thoroughly and gently apply a drop-sized amount over your face and neck. Use it twice a day- morning and evening. Also, do not forget to wear your SPF 20 during the daytime. 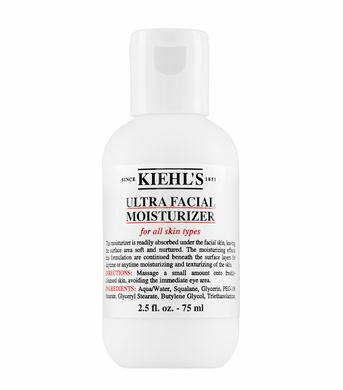 Kiehl’s Ultra Facial Moisturizer is an airy and ultra-lightweight water based moisturizer. It has a great texture that leaves the skin deeply hydrated yet absolutely non-greasy. It works wonders for an acne prone skin as it contains Squalene which is a botanical lipid that has essential healing properties which restore and rejuvenates the skin. It helps in achieving quick results and makes the skin fuller and glowing. It is ideal for sensitive skin. Apply a small amount of this water based moisturizer onto your well cleansed and toned skin. Massage gently. Be sure to avoid the sensitive eye area. 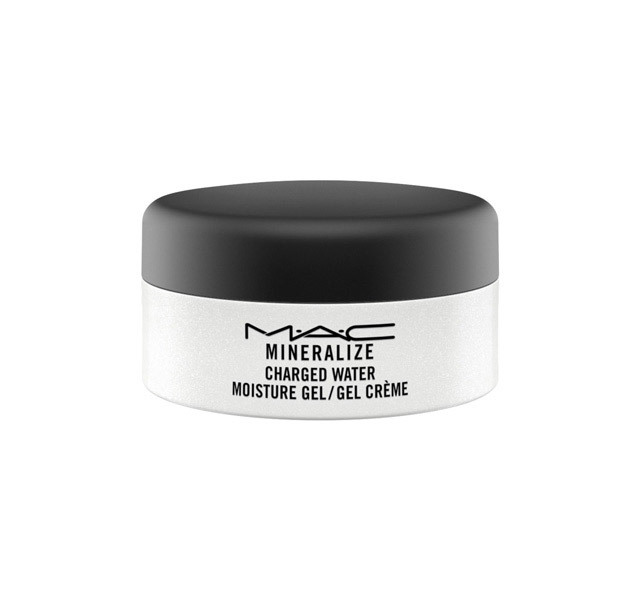 Mac Mineralize Charged Water Moisture Gel is a great moisturizing solution for oily skin as it super lightweight, non-comedogenic and gets quickly absorbed into the skin. It offers deep skin hydration, making it soft and smooth. Enriched with some of the best ingredients as well as mineral complexes, this water based moisturizer acts as a great makeup base. It does not leave any sheen on your skin and keeps it light, helping your skin to breathe. It is suitable for all skin types. Apply an optimum amount of moisturizer to your fingertips and massage on your face. Intensely hydrates the skin from within. Improves skin radiance, making it soft and supple. Contains a 77- mineral complex. Dermatologically tested. Suits all skins. 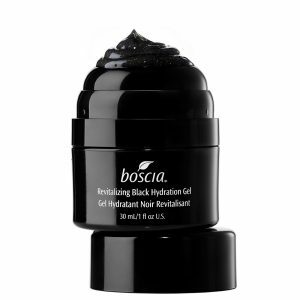 Boscia Revitalizing Black Hydration Gel is a great cooling gel moisturizer that is non-comedogenic. It offers very light yet effective hydration along with skin detoxification and exfoliation. It improves the skin texture and reduces the pore size making you look bright and radiant. It frees your skin from all its dullness. It contains glycolic acid and vitamin C that has significant antioxidant and anti-aging properties. The charcoal in this water based lotion detoxifies the skin, giving you an even texture. It is dermatologically tested and is highly suitable for all skin types as it is free from all parabens. Clean your face with a good cleanser and following that apply a toner. Finally, take a little amount of moisturizer and apply it on your face and neck. For best results- use it twice a day, morning and evening. 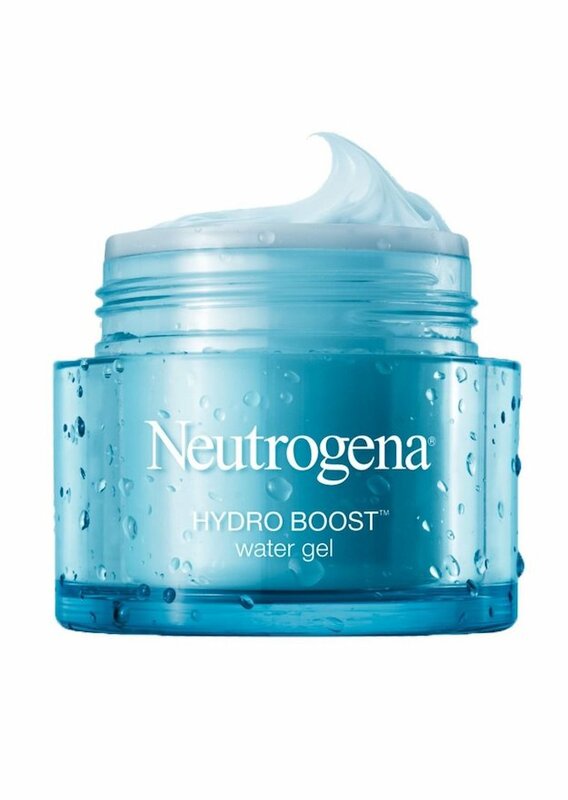 Neutrogena Hydro Boost Gel is an extremely lightweight and instant solution for quenching dry skin, making it look soft, smooth and hydrated throughout the day. It contains hyaluronic acid that locks the water in the skin making you feel refreshed and rejuvenated. It is non-comedogenic and comes with intense moisturizing power that smoothly glides over your skin. It has a combination of glycerin and silicones that make you look brighter. It can also be used as a makeup base. Apply to your face and neck evenly after cleansing and toning it. 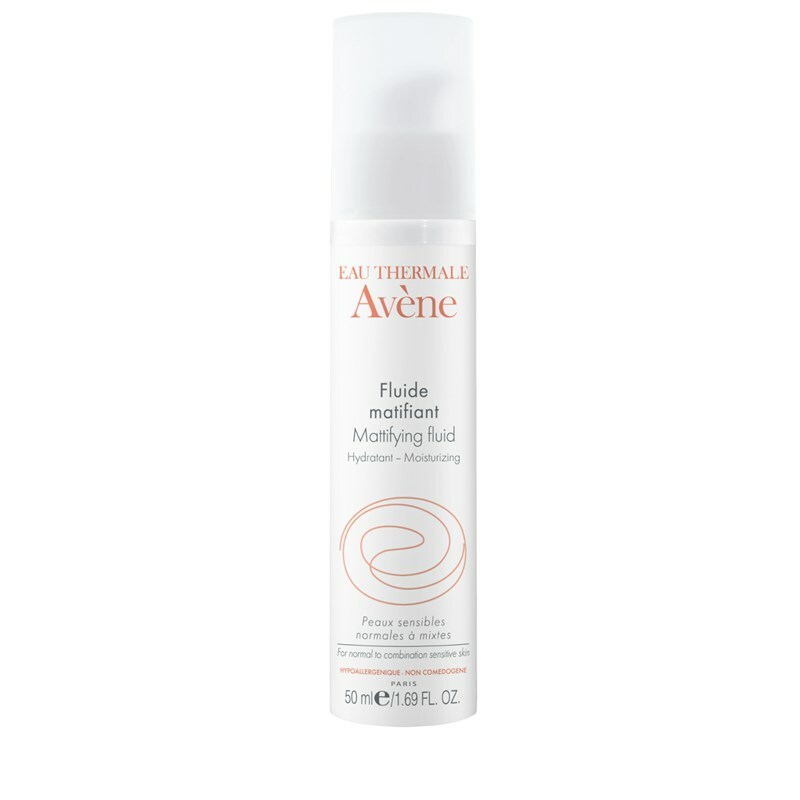 Avene Mattifying Fluid Moisturizer is an amazing water-based face moisturizer that is lightweight and keeps the oil production in check. It mattifies your skin and gives you quick and notable results. The glutamic acid and absorbent micro capsules present in the moisturizer will impart a matte finish. It also contains thermal spring water that will calm your skin and prevent redness and a shiny complexion. Why Should you Care for Oily Skin? As a matter of fact, oily skin requires a lot of care, effort and attention as the skin pores are open and large in size. This attracts a lot of dirt and dust which gets settled into these pores causing breakouts and acne. And what do you get? An ugly looking, uneven and lifeless skin. The excessive oil produced by the skin forms a thick layer on your face clogging all the pores. The skin becomes deficient of proper hydration. Off course washing your face regularly is important, however, it is only a temporary solution. You simply cannot get rid of that excess oil completely. So what you need is a good skin moisturizer that suits your skin and gives it the necessary and much need intense hydration. 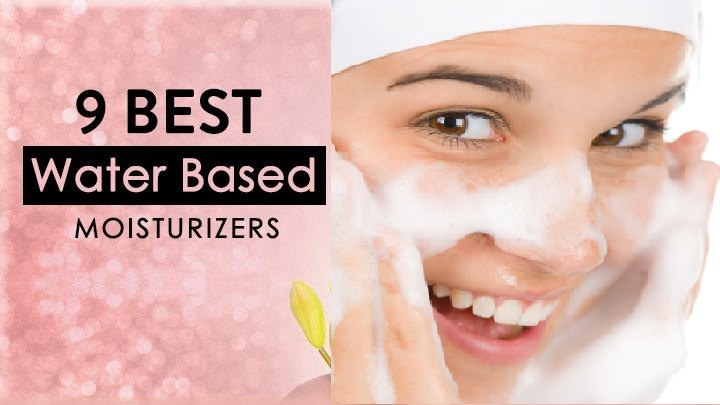 The foremost thing that should be borne in mind before selecting the best moisturizer for your skin is, knowing your skin type. A lot of moisturizers available in the market are rich in oil content and if used on oily skin, will only make you look worse. This will only add to your issue. Water based moisturizers are ideal for oily skin as they contain oil in minimal quantity. This makes the solution lightweight which will not further clog your skin pores. Try to avoid mineral oils in the product while buying a moisturizer for oily skin. Water based moisturizers which contain glycerin, SPF, and hydroxyl acid are best suited for oily skin. So now that you know the perfect moisturizer that will serve you best, go pick the one that fits your budget. Apply it religiously to see a world’s difference in your skin.